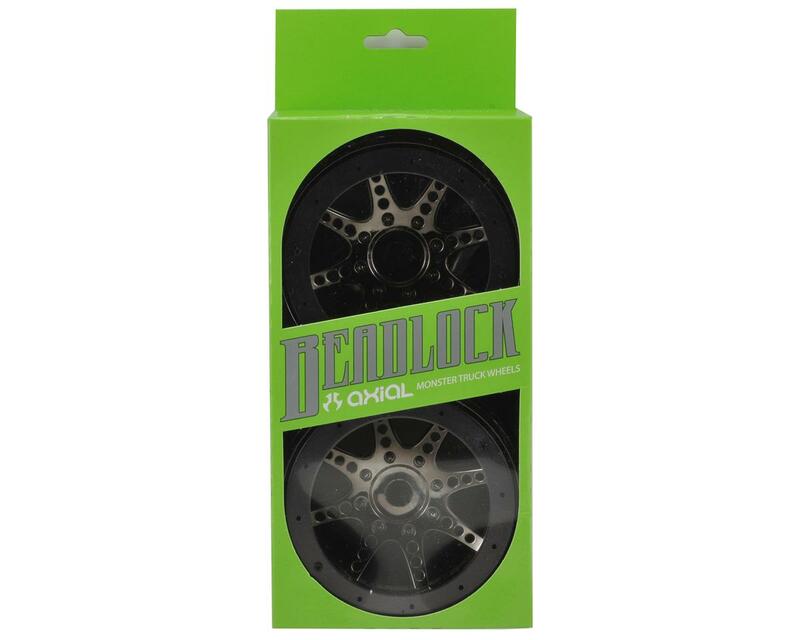 This is a set of two Axial 8 Spoke Beadlock Wheels. Do you hate having to glue up your tires? What about when you have to replace the tires and have to throw out a perfectly good wheel? Well, don’t worry; Axial has you covered with the Axial bead-lock series of wheel. All Axial wheels are made from super strong composite material and come in several high quality finishes so you can customize the look of your truck. The 17mm hex is fast becoming the standard for super strong durability and light weight performance. For those that don’t want to step up to the 17mm, Axial wheels include an adapter set that allows you to fit them to current 14mm hex hubs. The 8 Spoke Oversize wheels will fit directly on to the Savage X, T-Maxx and Revo, and fit all Axial oversize tires as well as Pro-Line 40 series tires.